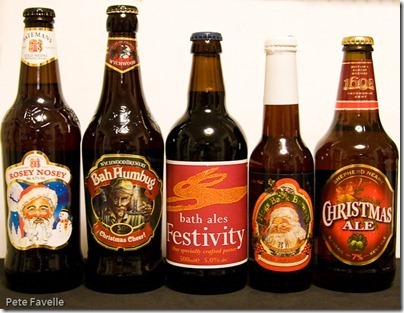 With the rapid approach of Christmas, and with breweries across the land taking the opportunity to produce a seasonal ale or two, I thought it would be fun to do a quick roundup of the more easily available Christmas Beers. 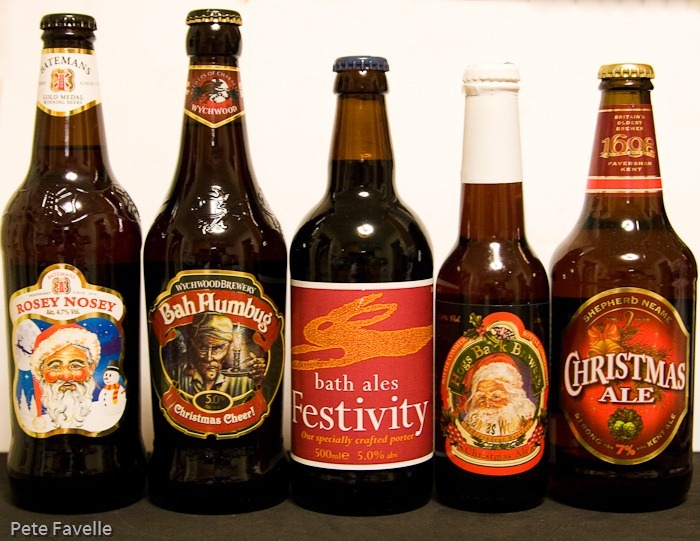 It’s sad, then, that I ended up having to raid my own drink store – none of the major supermarkets within easy reach of home were carrying any Christmas Beers. The only exception was our local Aldi, which can be relied on to have something – if you can face the spectacular queues. Fortunately, thanks to my own hoarding instincts and the generosity of a brewery, I managed to pull together this small collection. In the interests of ranking them, I’ve given each beer a mark out of 5 for taste, and a mark out of 5 for ‘Christmasness’. This is a deep copper coloured beer with a thin head. The nose is intriguingly fruity, with hints of blackberries and dates. The flavour is … odd – spiced and strangely reminiscent of Dr. Pepper. It’s slightly sweet, with a big bitter finish from those spices and quite a cinnamon character. In many ways it reminds me of my less than perfect Christmas homebrew from last year – fairly Christmassy, but not terrible enjoyable. 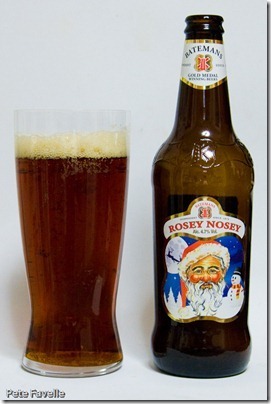 A lovely rich copper colour in the glass with a deep, fairly open textured head on it. The nose has a nice malty background and that slightly metallic tang that I often find in Batemans’ beers. In the mouth, there’s a nice foamy texture, sweet malts with a gentle but drying hop character and a slightly summery fruit flavour. 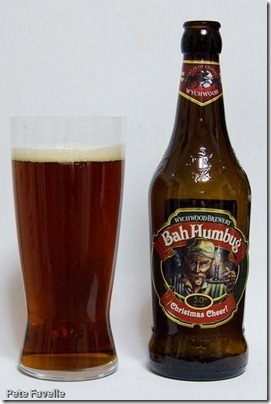 Definitely tasty, but aside from the Santa on the bottle, about as Christmassy as the Easter Bunny. This is a beautiful deep copper beer, strong enough to carry a distinctly alcoholic aroma along with a hint of the rich, dark fruit to come. 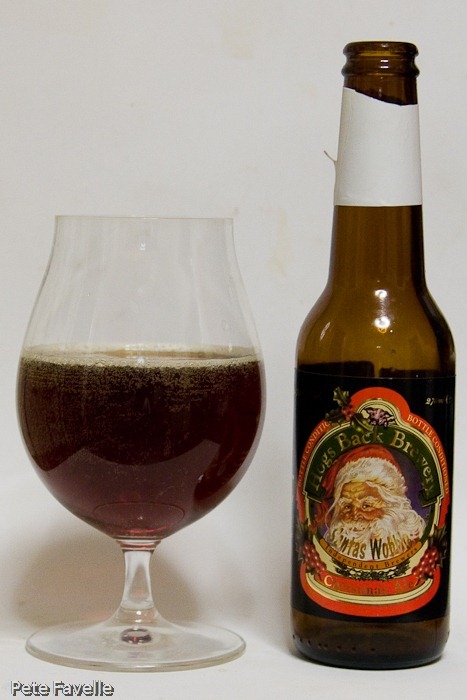 In the mouth it’s thick, sweet and syrupy, filled with dried fruit and an overall flavour that says Christmas pudding all over it. Rich, satisfying and warming. This is a slightly paler copper ale with a deep, finely bubbled head on it. The nose is sweet, with hints of toffee and dark fruits. The taste is similar; sweet, toffee, dates and just a touch of spice. It perhaps lacks the alcohol hit that you might expect from the strength, but aside from that it’s a very tasty beer. 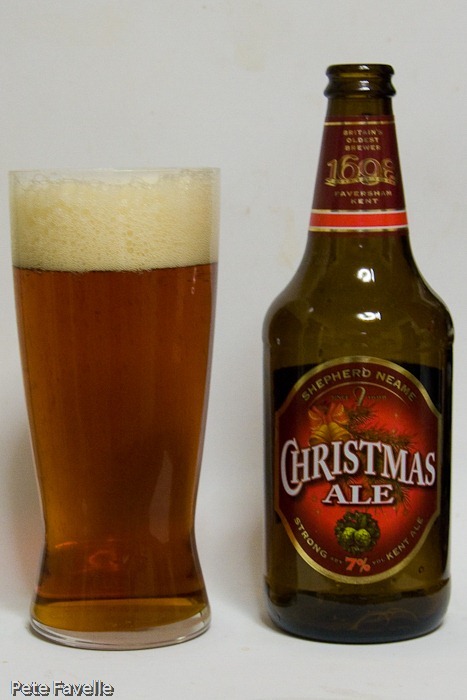 More importantly, it’s the most Christmassy flavoured of the lot. We finally reach a dark Christmas beer! A rich malty biscuit nose with raisin fruit, there’s something almost barley wine-like about the aroma despite the relatively low 5.0% ABV. In the mouth there are toasted malt flavours, blending deliciously with a gentle black treacle sweetness, a beautifully balancing bitterness and hints of vanilla lurking underneath. 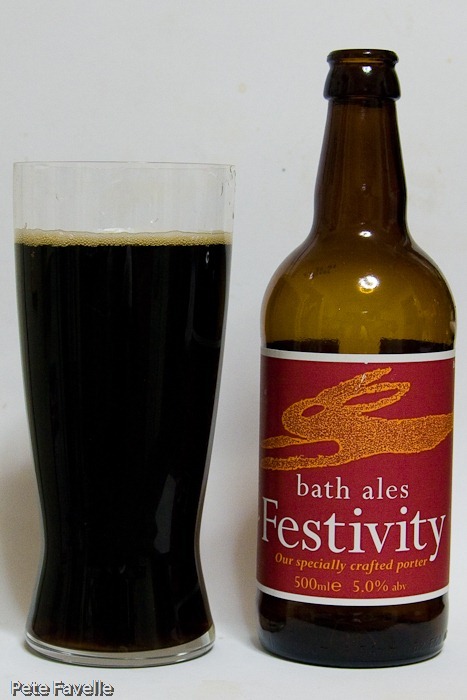 Not classically Christmassy, but the perfect winter porter. 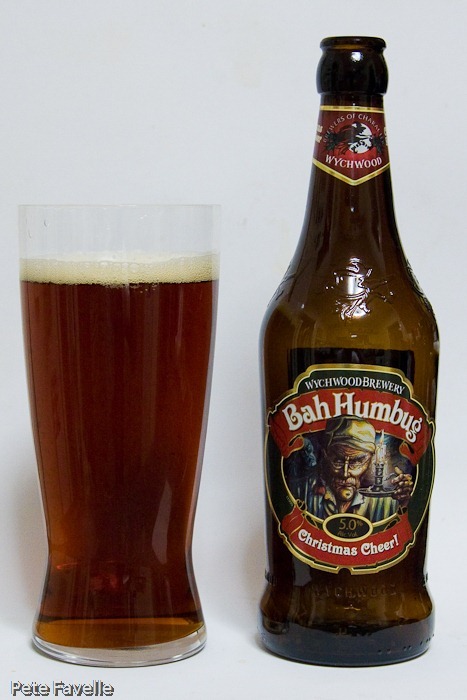 The Batemans and Wychwood came from Aldi, who often have a few bottles from both breweries in stock, and well priced too at £1.49. 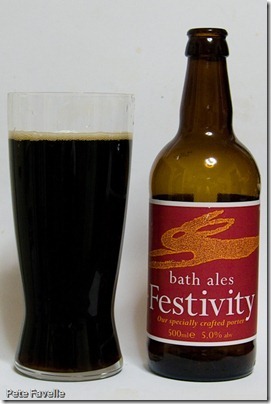 The Hogs Back and Bath Ales both came from my store cupboard, as sadly Waitrose, my supplier of Festivity last year, have decided not to bother listing it in 2012. I find this depressingly symptomatic of the current state of beer in the main supermarkets. 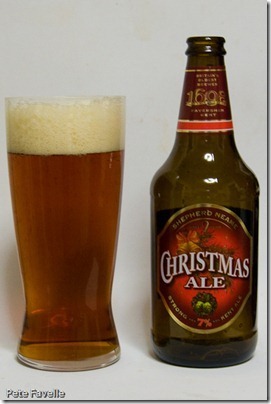 Sheperd Neame kindly sent me their Christmas Ale to try.